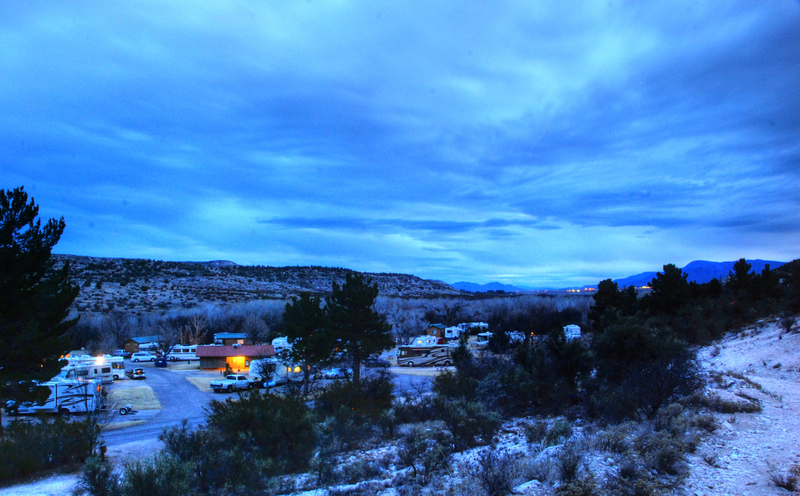 Many RVers find themselves in scenic locations, after the trip when they go to show their friends and family the amazing places they visited they’re stuck trying to explain how it looked so much better in person. Have you had this happen to you, are you new to photography or would like to increase your skills? If so these tips are for you. It’s possible to get away with great images from an iPhone, Point and Shoot, or a DSLR. The best way to get to know how to best use your camera is through experience. Photography is much like most skills in life, the more you do it the better you get. The human brain naturally breaks things down into patterns, but having subjects slightly off center is appealing. I would say that 80% of my photography follows this rule, it’s simple and it works. If you are brand new to photography this will most likely make the biggest impact for you. To make this easy on yourself, turn on the “grid” option which creates 2 vertical and 2 horizontal lines on the picture. Put the subject that you want to focus on at one of the intersections for better composition. If there is a horizon in your shot, don’t put it in the center. Align it along either the top third or bottom third line. If you really want to get fancy you can also align something in the foreground on the right and left lines to add to the image. The rule of thirds is great for making an everyday photo look a little bit more interesting. I was stubborn for years and refused to carry a tripod with me out of sheer laziness. I’ve recently stepped up my game and keep it in my car for easy access. The difference in low light situations has been staggering. My hands shake and especially in cold weather. With a tripod you will get steady crisp images and has allowed me to capture many landscapes in low light. They are also useful for setting up portraits. 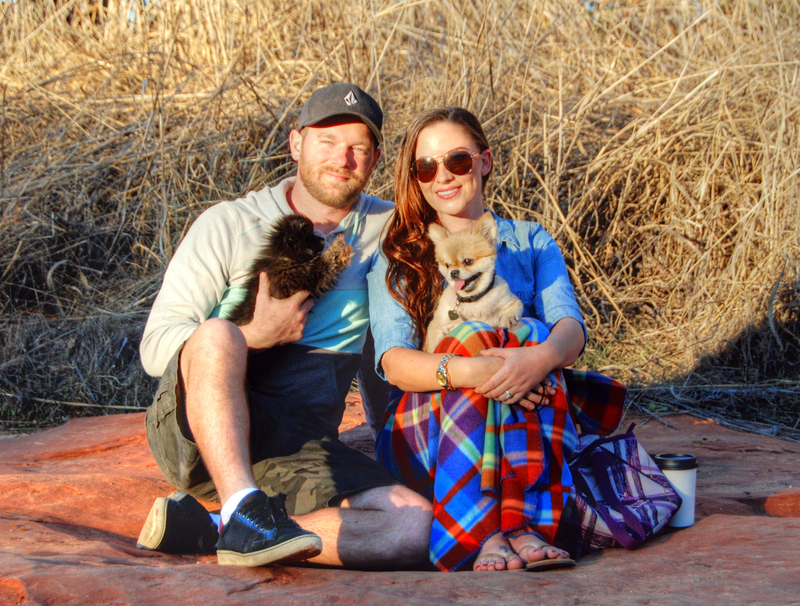 We took this portrait recently in Sedona and used the timer to capture the image. However I have a wireless clicker that I can use to snap the shot rather than having to rush to beat the timer. I’ve captured great moments because I acted quickly when an event came up. Many times this means anticipating. You may need to pull over and jump out of the car ready to shoot, you might have to run up a hill or be the first to grab your phone out of your pocket. 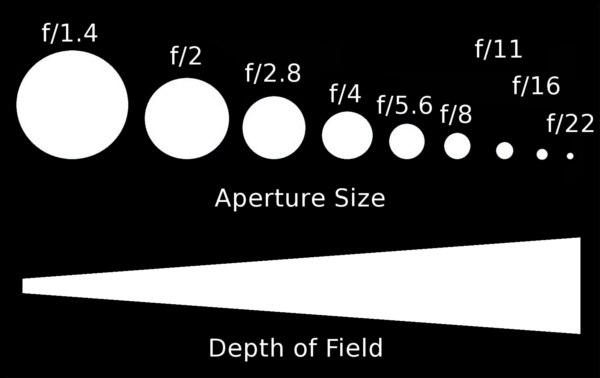 Aperture controls the amount of light let in and has an effect on the depth of field. It’s measured using something called the F-stop scale. A higher number means there’s a smaller hole letting light in, which results in more of the background being sharp and in focus. A smaller number is a larger opening, so background objects appear out of focus. 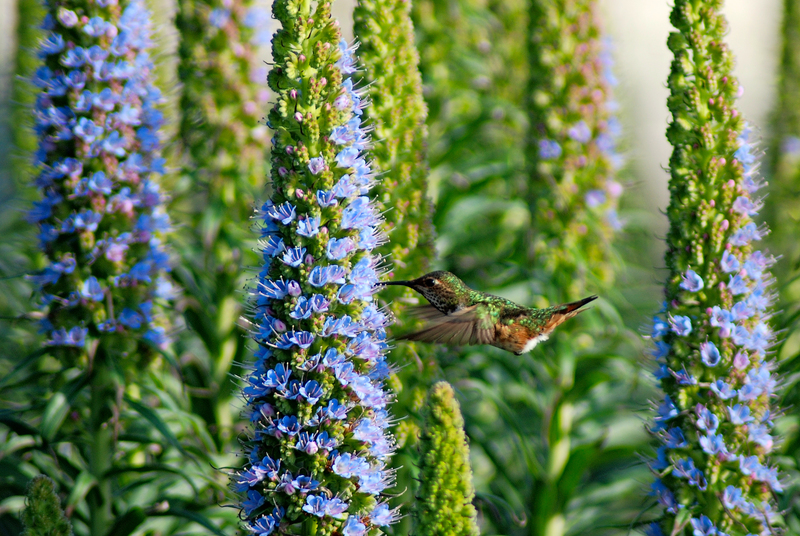 Use smaller aperture numbers for a blurred background. F/4 to F/5.6 are good for portraits and macro photography. If you are taking pictures of multiple people F/8 to F/11 should ensure that everyone is crisp. Landscape pictures are generally shot in a large F-stop number such as F/16 to F/22. This is how long the shutter remains open for. The longer it’s open the most light allowed in. Faster shutter speeds are great for capturing fast moving action whereas a longer time will show motion. ISO is how sensitive the camera chip is to light, a high ISO allows you to take photos in low light situations, however it will add a “grainy” noise to the image. Low ISOs are better, but not always possible. ISO 100-400 Your photos will have the most detail and the best quality. In the daylight there is no need to boost ISO higher than this. Shooting at 1600 in bright conditions would be a waste, and grainy results would be achieved. ISO 400-800 I use this range often when shooting with a flash indoors so I can achieve a more even exposure with a detailed background. ISO 800-1600 This range is for when you are at live events and have to shoot in low light when flash is not allowed. ISO 3200+ is for extremely low light situations. My camera stops at 3200 and is extremely grainy at this ISO. However technology is improving quickly on this and I’m seeing some very impressive shots taken at high ISOs. Most people take photos at eye level, this can be boring. Get up high and shoot down or get low on the ground and shoot up. This is especially important for kids and pets. Depth of Field (DOF) is the distance between the closest subjects in focus and the furthest point of focus. The distance can be increased or decreased by changing the aperture. Different cameras have their own variations of these but even basic point and shoots typically have these modes. Aperture Mode is the most widely used mode for general shooting and gives you control over the Aperture. I use this mode far more than any other. The camera will automatically calculate the best shutter speed and exposure. Shutter Mode gives you control over the shutter speed, allowing you to capture either motion or a single moment. The camera will calculate the best aperture and exposure values to use. I hope these tips help you capture those special moments in your life.